2016 YEAR IN REVIEW: Entering 2016, the New York Giants offensive line was expected to take a major step forward. While the right-side was still composed of journeymen right guard John Jerry and right tackle Marshall Newhouse, the left side and center were composed of two first-round and one second-round draft picks. With all five returning together, greater chemistry and cohesion was expected. And new offensive line coach – the well-respected Mike Solari – was supposed to make an impact. It’s always difficult to assess who is mostly to blame for a poor running game. The play of running backs, tight ends, and fullback (or in the Giants case, the absence of a fullback) all matter. 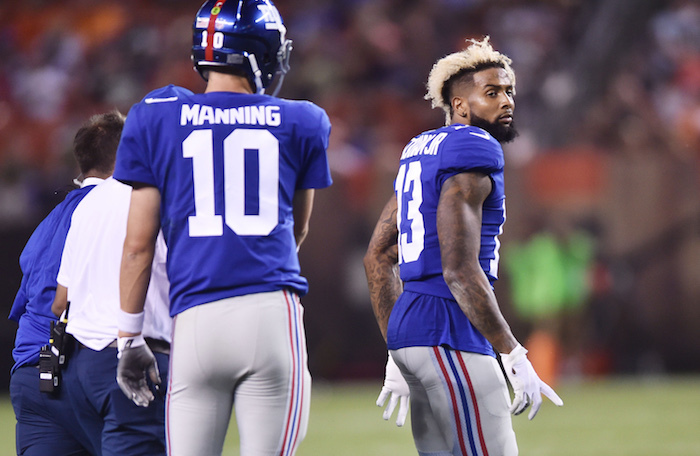 But the Giants ground game fell from 18th in 2015 (100.6 yards per game) to 29th in 2016 (88.2 yards per game). The average yards-per-rush fell from 4.0 to 3.5. In pass protection, Eli Manning survived another year without missing a snap. And his sack numbers declined from 27 to 21. But that is a misleading stat given the West Coast Offense emphasis on the short-passing game combined with Manning’s rapid decision-making and quick release. It appeared to many that Manning simply did not trust his pass protection and played some games more than a a bit gun-shy. Injuries were somewhat of a factor. Pugh missed five games at left guard, leaving a bit of a revolving door as his replacements such as Brett Jones and Marshall Newhouse also got hurt. At one point, the team was down to their fourth-string option at right guard – Adam Gettis. Hart also missed the last regular-season game with an injury. In summary, the offense of the Giants was a major disappointment in 2016, and the offensive line deserves a large share of the blame. ADDITIONS/SUBTRACTIONS: Marshall Newhouse signed with the Oakland Raiders early in free agency. 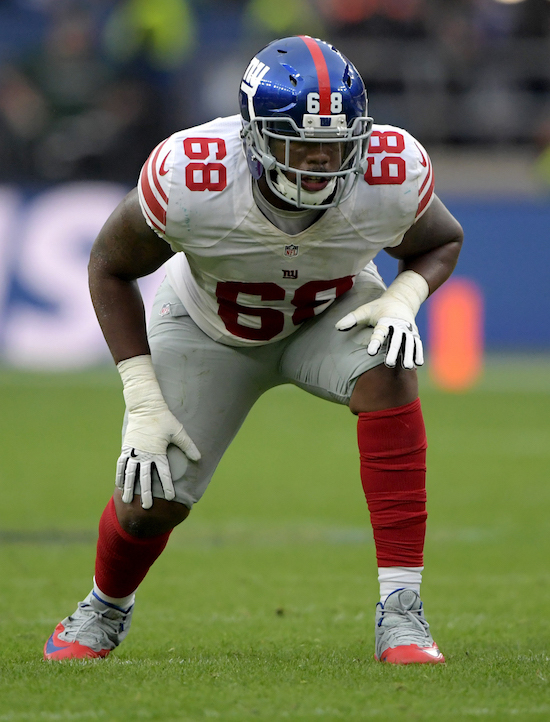 The Giants chose not to re-sign Will Beatty, but did re-sign John Jerry to a 3-year, $10 million deal. The only significant addition in free agency was adding D.J. Fluker, who was cut by the Chargers. The Giants re-signed Practice Squad players Adam Gettis and Jon Halapio and added street free agents Michael Bowie and a couple of other players who have already been waived (Khaled Holmes and Martin Wallace). The Giants drafted Adam Bisnowaty in the 6th round and signed rookie free agents Chad Wheeler, Jessamen Dunker, and Jarron Jones after the draft. Bottom line? Newhouse is gone and the only apparent significant additions are Fluker and Bisnowaty. TRAINING CAMP STORY LINES: Media and fans love to complain that Jerry Reese has ignored the offensive line. Spending two #1 picks and a #2 pick says otherwise as does his free agent spending in recent years. The real issue is that despite the significant allocation of resources, Reese has failed to put together a viable unit since David Diehl, Richie Seubert, Shaun O’Hara, Chris Snee, and Kareem McKenzie retired. Most of the fan and media attention entering training camp will be on left tackle Ereck Flowers, a lightening rod of criticism. There is no obvious fallback plan if he fails to progress, though in an emergency Justin Pugh and maybe even Bisnowaty could play there. But Pugh – who talks a lot and wants a huge contract – has to prove he can stay healthy. Weston Richburg apparently played hurt in 2016 and needs to rebound from a disappointing season. The right side is more up in the air. For now, John Jerry remains the starter. But he may be pressed by D.J. Fluker, who surprisingly only received spring reps at right guard. That suggests Bobby Hart is the clear front runner for right tackle, though Bisnowaty could be a factor there. It is the opinion of many that the only thing that can hold back the Giants in 2017 is the offensive line. While this is clearly an overly-simplistic falsehood, the line has been a team weak spot for years. If a team can’t block up front, it is very difficult to consistently move the football. ON THE BUBBLE: Michael Bowie, Chad Wheeler, Jessamen Dunker, Jarron Jones, Adam Gettis, Jon Halapio, and Brett Jones. PREDICTIONS: There is a very good chance that the starting line will be the exact same line that started the bulk of the games in 2016. And that won’t sit well with many. Media and fans sometimes forget how young both the bookend tackles are. Ereck Flowers is 23; Hart is 22. Both are big, strong, and have been working their tails off. Whether they succeed or fail still remains to be seen, but the tools are there. What will help both is greater stability, consistency, and health from the interior trio. 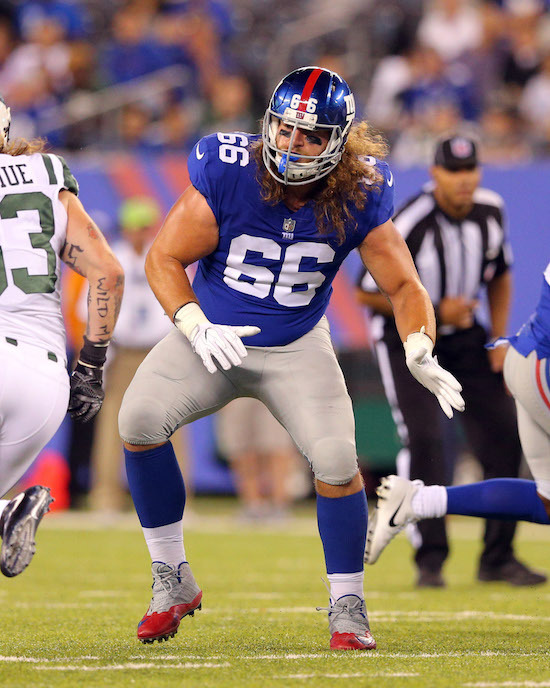 In particular, Weston Richburg and Justin Pugh need to step up and take ownership of this line. I expect the OL to play much better in 2017. I also expect them to look better with Rhett Ellison and perhaps even Evan Engram and Jerell Adams providing more credible blocking on the perimeter. But if Flowers continues to struggle, and Pugh gets hurt again, and Richburg doesn’t rebound, then Jerry Reese is going to look awfully bad. Those three represent three PREMIUM draft picks. 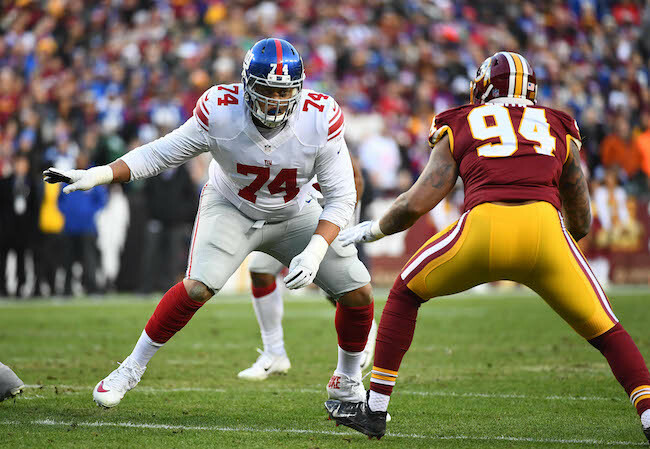 FINAL DEPTH CHART: Ereck Flowers, Justin Pugh, Weston Richburg, John Jerry, Bobby Hart, D.J. Fluker, Adam Bisnowaty, and Brett Jones. (Versatile Adam Gettis and Jon Halapio could press Brett Jones. There is a chance the Giants could carry a ninth offensive lineman. That would help Chad Wheeler’s chances). The four-week “phase three” portion of the New York Giants offseason program begins on Monday with the team’s first organized team activity, or OTA, practice. Teams may conduct a total of 10 days of OTA practices. No live contact is permitted, but 7-on-7, 9-on-7 and 11-on-11 drills are permitted. Monday’s OTA practice will not be open to the media. The first practice open to the media will be Thursday, May 25th. 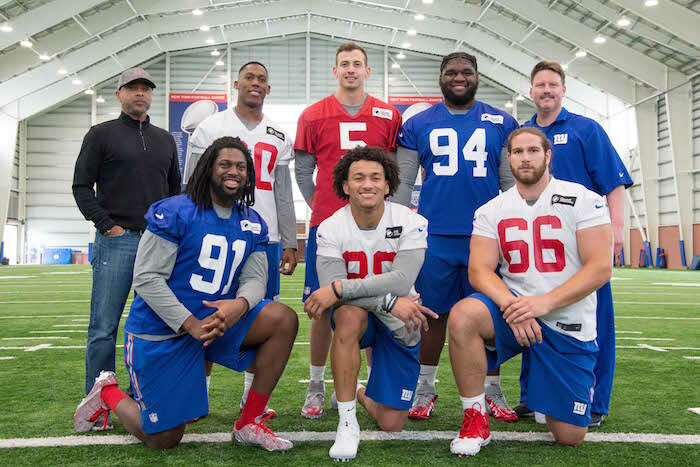 The Giants’ nine-week offseason program began on April 18. The first two weeks consisted of activities limited to strength and conditioning and physical rehabilitation only. The next three weeks of the program consisted of on-field workouts that included individual player instruction and drills. 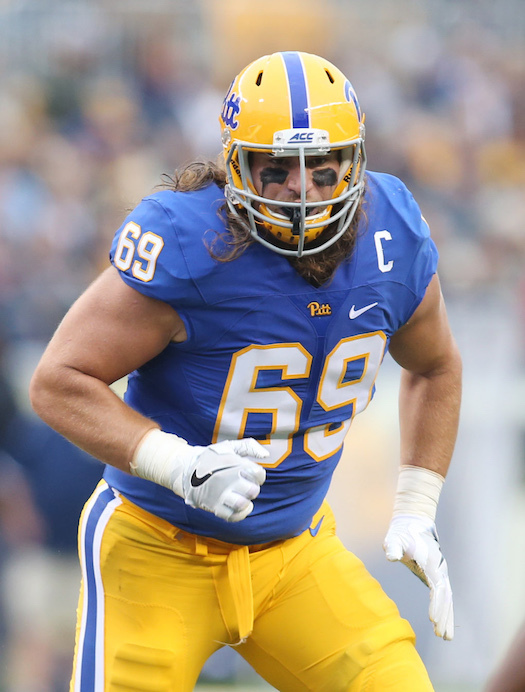 NJ.com is reporting that the New York Giants have signed their 6th-round 2017 NFL draft selection, offensive lineman Adam Bisnowaty. The Giants signed defensive tackle Dalvin Tomlinson (2nd round), quarterback Davis Webb (3rd round), and defensive end Avery Moss (5th round) earlier this month. The only remaining draft picks unsigned are tight end Evan Engram (1st round) and running back Wayne Gallman (4th round). 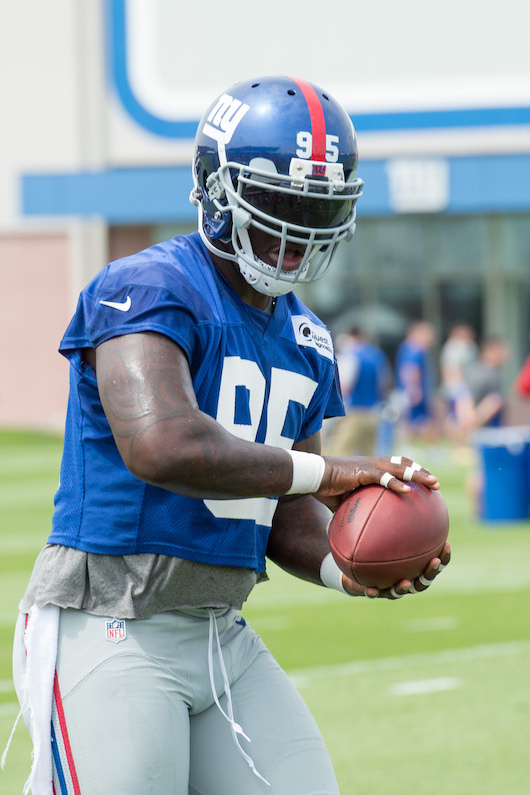 The first day of the New York Giants 3-day rookie mini-camp was held on Friday at Quest Diagnostics Training Center in East Rutherford, New Jersey. Sixty-six (66) players – draft picks, signed rookie free agents, first-year players who have not completed a season of credited service, and street and rookie free agent tryout players – were in attendance. Contrary to previous reports, offensive linemen Sam Ekwonike (Coastal Carolina) and Armando Bonheur (Samford) were not signed after the draft. Both are present as tryout players. OC Mike Brewster, Ohio St.
LS Josh Appel, Indiana St.
For future reference: Adam Bisnowaty worked at RT, Chad Wheeler at LT today. The remaining draft picks unsigned are tight end Evan Engram (1st round), running back Wayne Gallman (4th round), and offensive lineman Adam Bisnowaty (6th round). New York Giants unrestricted free agent cornerback Trevin Wade is trying out with the Chicago Bears during the their mini-camp this week. Wade played in every game in 2016 with two regular-season starts. He received about 33 percent of defensive snaps and finished the year with 26 tackles and three pass defenses. Wade was originally drafted in the 7th round of the 2012 NFL Draft by the Cleveland Browns. He has spent time with the Browns (2012-13), Saints (2013-14), and Lions (2014). 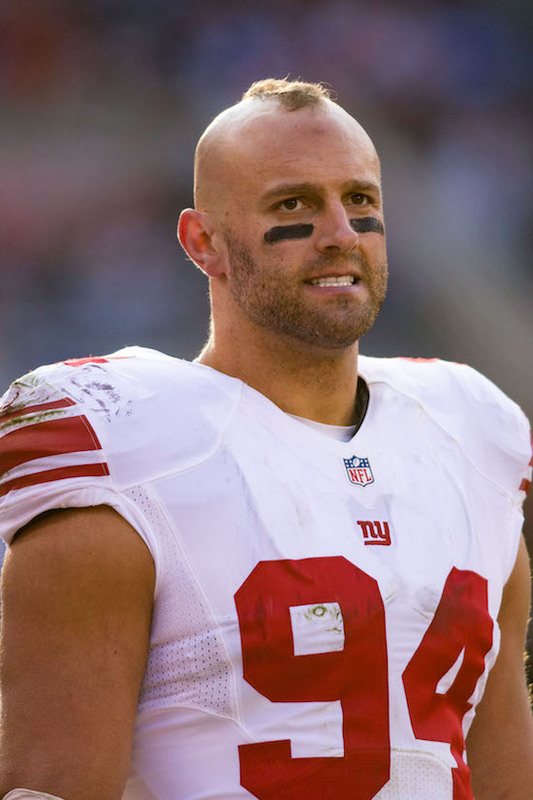 The Giants signed Wade to a reserve/future contract in January 2015.